Naoto Kan was Prime Minister of Japan from June 2010 to September 2011. Though his time in the top job was just over a year, he has spent much of his adult life in the political arena, both in government, and as an activist. In a recent interview with the Japan Times, the former PM reflects on his long career, including his anti-nuclear stance, and the way the Fukushima Daiichi nuclear meltdown was handled. But readers of this blog will likely be most interested to learn of his recollections of his years as an electoral reformer. Japan’s electoral system is not the same as Canada’s (the article explains key aspects of the system.) In 1993, the Liberal Democratic Party (LDP) had been in power for several decades, and Naoto Kan was an elected member of an opposition party, the Socialist Democratic Federation. When members of the LDP left to join opposition members in forming a coalition, they were able to implement a new system combining single member constituencies and proportional representation. The historic change in the electoral system is something that Kan still feels proud of, even though the coalition was short lived. According to the CBC, Canada's Chief Electoral Officer is encouraging a national discussion about possible voting reforms including proportional representation and a lower voting age. "We've seen turnout decline. We've seen political strategies targeting certain groups of voters. And maybe if they had to reach out to all voters equally, that may change the nature of campaign"
"One of the problems we have is that there are so many variance on proportional representation, that's it's very difficult to establish consensus around it. But again, that's a matter that Canadians should be discussing"
"The argument would be that young people at 16 are mature enough and they're still at home, so they're easier to reach, and probably easier to engage in the democratic process"
Germany uses Mixed-Member Proportional in general elections - how does it compare to Canada? Last weekend, Germany held a general election using Mixed-Member Proportional (MMP) representation. Chancellor Angela Merkel won a historic third term in office, but although she won almost 42% of the popular vote, she needs to find a coalition partner to form government. Whoa! – hold on a second. 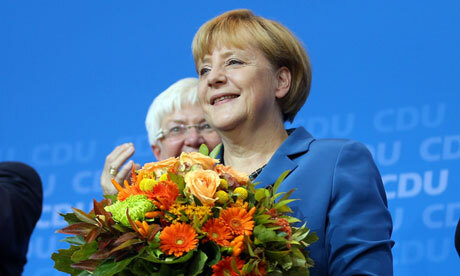 Even though Merkel has almost 42% of the vote, she still needs to find a coalition partner? Critics use Israel and Italy as punching bags to demonstrate how proportional representation leads to unstable governments. Yet they will often ignore the fact that many countries using proportional representation produce strong, stable governments – even an economic powerhouse like Germany. MP Bruce Hyer: "Electoral reform must be acted upon before Canada descends into despotism"
A strong proponent of government accountability and electoral reform, NDP MP Bruce Hyer has come out strongly in favour of proportional representation in the lead up to Democracy Week. Hyer's call to action has come at an important time and you can be part of the solution. To help bring proportional representation to Canada, please join Unlock Democracy. If you find yourself in Winnipeg this Thursday, September 19, you can hear more from Hyer as he will be speaking at a panel on government transparency. Craig Scott is the MP for Toronto-Danforth and the Official Opposition Critic for Democratic and Parliamentary Reform. Starting this month, Craig and his team will be travelling across the country on an Electoral Reform Tour to consult with Canadians. In a salon-style setting, you'll have your chance to chat with Craig and other Canadians about your thoughts on electoral reform. What do you think about PR? How about abolishing the senate? What reforms do you think would make our country more democratic? Craig is dedicated to promoting reforms that ensure the votes of every Canadian count, so be sure to come out and have your say. Dates have been announced for events in Toronto, Kitchener-Waterloo, London, and Saskatoon. Keep an eye on Craig's website for information about a consultation near you. Christy Clark: "People are sick to death of the way our political system works." One of the strongest advocates for proportional representation in Canada, is BC's premier Christy Clark. In 2009, when she was a radio host, she delivered one of the most eloquent endorsements of PR that we've ever seen in this country. To help bring proportional representation to Canada, please join Unlock Democracy and also check out the 123 Vancouver campaign for STV in municipal elections! A recent study by the UK’s Electoral Reform Society (ERS) shows that some votes are worth 22 times others, because of first-past-the-post (FPTP). A Penny For Your Vote? explores the cash value of Britain’s vote based on geographic region. Under FPTP, the only votes worth pursuing are swing voters in swing ridings, so that’s where campaign finances and attention are concentrated. Findings by the ERS show that there is a direct correlation between the amount of money spent by candidates and the likelihood that people will turn out to vote. In other words, residents of areas where votes are only worth 14p are electorally disadvantaged compared to their peers in places where votes are valued at £3.07. Upcoming Ontario conference "Make every vote count"
For those living in Ontario, we hope you can join us in Orillia from Sept 27th to 29th for this regional conference about voting reform! Speakers include Elizabeth May, Joyce Murray and Alexandrine Latendresse. Price includes meals and lodging. Student discounts available. The Liberal Democrats in the UK have been advocating for a lower voting age since 2001. Now it looks like the Labour Party will also endorse this policy, making the change much more likely to happen. "School leavers could get increasingly political under possible plans drawn up by Labour to pledge to reduce the voting age to 16." Check out these two articles from yesterday's Sunday Times, and Metro. Also, check out the Votes at 16 campaign - a national coalition to lower the voting age!